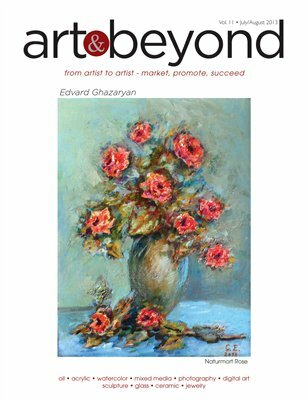 Congratulations to Edvard Ghazaryan, his work “Naturmort Rose” was chosen as this months Art and Beyond Front Cover Competition winner. The Inside Front Cover was awarded to Pomm Hepner for a beautiful artwork “Madelana~Born to Live in Paris”. The Back Cover was awarded to Tony Luciani for work “Wonder Woman” and the Inside Back Cover has been awarded to Lizzy Forrester for work “My Love of Trees VII” as a Publisher Choice.